Denis Zastavni, PhD Arch.Eng., Prof.
Denis Zastavni is a Dr. Arch. Eng. and Associate Professor in the Faculty of Architecture, Architectural Engineering and Urbanism [LOCI] at the Université Catholique de Louvain in Louvain-la-Neuve, Belgium where he lectures on structures, materials and technologies in architecture. He has worked as a structural engineer and architect for over ten years and still works as a consulting engineer on specific structures. 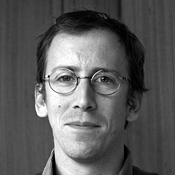 His doctoral thesis was on Robert Maillart’s design methods, for which he received the Benvenuto prize in 2008. 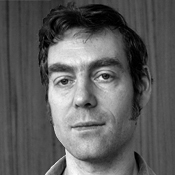 His main publications are on structural design, pedagogical approaches to teaching structure and technology, and Robert Maillart’s designs. He has a passion for research focused on structural design approaches and tools and on deepening his knowledge of Robert Maillart’s structural methods. With more junior colleagues he is currently applying these methods to masonry, concrete and timber structures and incorporating them into computer-aided design tools. Luca Sgambi , PhD. 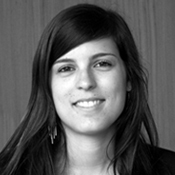 Eng., Asst. Prof.
Luca Sgambi is a Dr. Eng. and Assistant Professor (since September 2016) in the Faculty of Architecture, Architectural Engineering and Urbanism [LOCI] at the Université Catholique de Louvain, Louvain-la-Neuve, Belgium where he lectures on conceptual design of structures, principally on the Tournai campus. He had worked at Politecnico di Milano as Adjunct Professor (from 2003 to 2009) and Temporary Assistant Professor (from 2010 to 2013). He has worked as a structural engineer for several architectural offices in Milan (Italy) and as Forensic Engineering Investigator. He won the Young Researcher Fellowship Award in the Second M.I.T. Conference (2003) and the 1° Prize on the “Blast Blind Prediction Contest 2012” (in collaboration with others researchers) at University of Missouri-Kansas City. His doctoral thesis was on the application of Artificial Intelligence Methods in Civil Engineering (in particular for the analysis and design of long suspension bridges). His research interests include: computational mechanics, reinforced concrete structure, artificial intelligence, durability and maintenance of structures, university pedagogy. 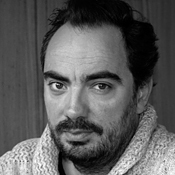 Jean-François Cap graduated from UCL in 1990 with a masters degree in civil engineering (construction). Since then he has been working as a study and project engineer in civil engineering at SECO, where he is now a senior engineer. He is also head of the research and development unit there for computer-aided design. He has significant knowledge regarding structural design and analysis software development and finite elements applied to structural engineering. He has become a specialist in the field of large-scale civil works (bridges, viaducts, hydraulic and retaining structures etc.) in reinforced concrete, pre-stressed concrete and composite concrete and steel structures. Alongside his professional work, he has been teaching architectural and civil engineering students at UCL since 2001. He is in charge of courses related to the design of reinforced concrete, pre-stressed concrete and structural materials. He is also involved in various research projects being undertaken by the Structures and Technologies unit concerning graphical methods and concrete-related structures. Guillaume recently graduated from UCL in 2017 as an engineer architect. 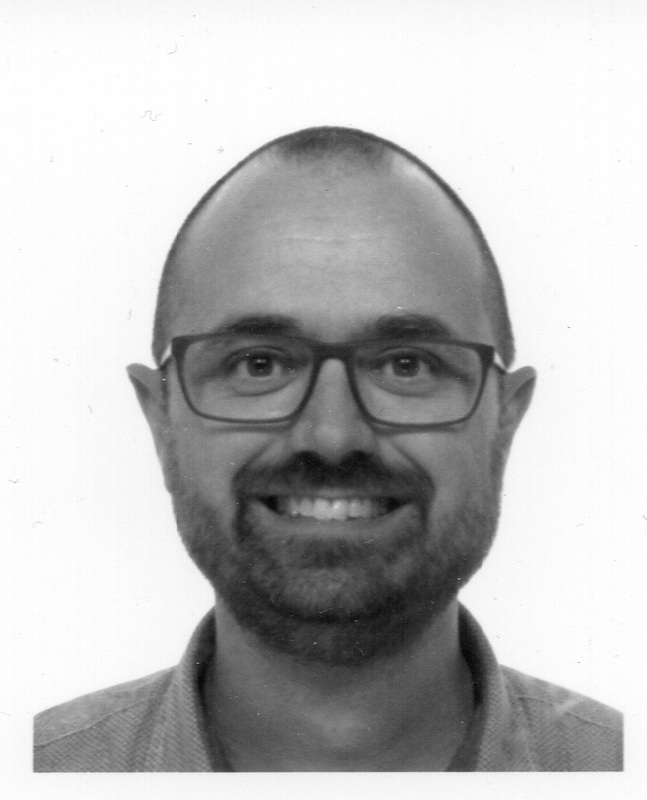 He began his training at the Delvaux engineering and architectural office in Louvain-la-Neuve, and works part-time at the LOCI faculty as a research and teaching assistant. Jean-Philippe Jasienski graduated as an engineer architect from UCL, having undertaken a six-month exchange programme at the Universidad del Bío-Bío in Concepción, Chile. 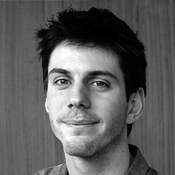 He currently works part-time at the LOCI faculty (UCL’s architecture department) as a research and teaching assistant. He has been working on a PhD in the Structure & Technologies research unit since 2012 with Prof. D. Zastavni, Prof. S. Huerta, Prof. L. Ney and C. Fivet. His PhD examines an extension of graphic statics to the third dimension, starting from a purely geometrical approach, which would allow a simultaneous conception of structure and space and produce new typologies of 3D structures. 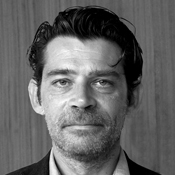 Jean-Philippe also teaches in architecture studios. Alongside his research and educational practice, he works at ARJM, a Brussels-based architecture and urbanism office. Damien Nyssen-Dehaye graduated from UCL in 2000 where he obtained a master’s degree in architectural civil engineering. Since then, he has been working in architecture for various firms in Belgium and abroad (Charles Boccara, Marrakech, 2005) and has specialized in the field of energy in buildings and sustainable development. From 2006 to 2008 he was strip leader of the self-managed youth community center “Chez Zelle” in Louvain-la-Neuve. Since 2009, he has been working part-time at the UCL Faculty of Architecture (LOCI) as the scientific coordinator of the postgraduate training program “wood in construction work“, training designed to promote greater and more thought-out use of this material in construction. As part of the scientific part of this training program, he participated in a project to disseminate best practices in the use of wood for construction in order to guide designers at the outset of a proposed building using wood. 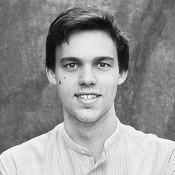 Sylvain graduated from UCL in 2012 as an engineer architect. He worked for architecture firms on various big projects as hospital, office campus, stations : first as an architect for studio BAEV, next as a project manager for the real estate branch of the Belgian Railways. Holding a certificate in executive real estate at the Solvay Business School during which his rehabilitation project of the former site of NATO won the excellence prize, he’s convinced of the opportunity for all the stakeholders of a project to cooperate through the design process. In 2016, Sylvain joined the Prof. D. Zastavni at the Structure & Technologies research unit. He’s currently working on the output of the design processes using graphic statics as a dimensioning tool. Sylvain teaches also in architecture studios of the LOCI faculty (UCL’s architecture department) and works on his own belhalf. Jean-François Rondeaux graduated from the UCL in 2006 with a masters degree in architectural civil engineering. In 2007 he began his training with the Delvaux engineering and architectural office in Louvain-la-Neuve where he worked on many projects for existing and non-existing buildings. He still works there freelance from time to time. 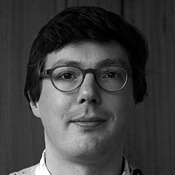 After specialising at the RLICC in KULeuven, he worked for ORIGIN – architecture and engineering in Brussels and was involved in projects to restore several listed buildings in Belgium. Since 2011 he has been working as a full-time assistant at UCL-LOCI, where he is a member of both the library commission and the faculty council and helps professors deliver several classes (e.g. on building mechanics). He is currently working on his dissertation on the mechanical behaviour of ancient masonry buildings using graphic statics.